The instability, injustice, and confusion introduced into the public councils, have, in truth, been the mortal diseases under which popular governments have everywhere perished; as they continue to be the favorite and fruitful topics from which the adversaries to liberty derive their most specious declamations. The valuable improvements made by the American constitutions on the popular models, both ancient and modern, cannot certainly be too much admired; but it would be an unwarrantable partiality, to contend that they have as effectually obviated the danger on this side, as was wished and expected. Complaints are everywhere heard from our most considerate and virtuous citizens, equally the friends of public and private faith, and of public and personal liberty, that our governments are too unstable, that the public good is disregarded in the conflicts of rival parties, and that measures are too often decided, not according to the rules of justice and the rights of the minor party, but by the superior force of an interested and overbearing majority. 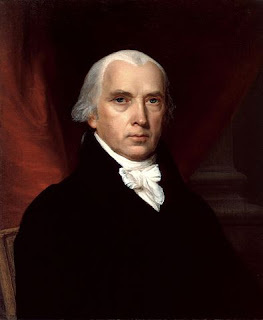 James Madison Enters the arguments. Read the rest in the document below. To read the above document in full screen view, left click the icon at the far bottom right hand side of the Slideshare container. To exit full screen mode, hit the escape key on your keyboard. Liberty Education Series here on Gloucester, Virginia Links and News website.